As we continue to learn about air, water and the environment, our research keeps telling us about the water cycle. There are a lot of big words used to tell about the water cycle, like evaporation, condensation, and precipitation. To help us understand the water cycle better, we decided to do an experiment so we could see the water cycle in action. 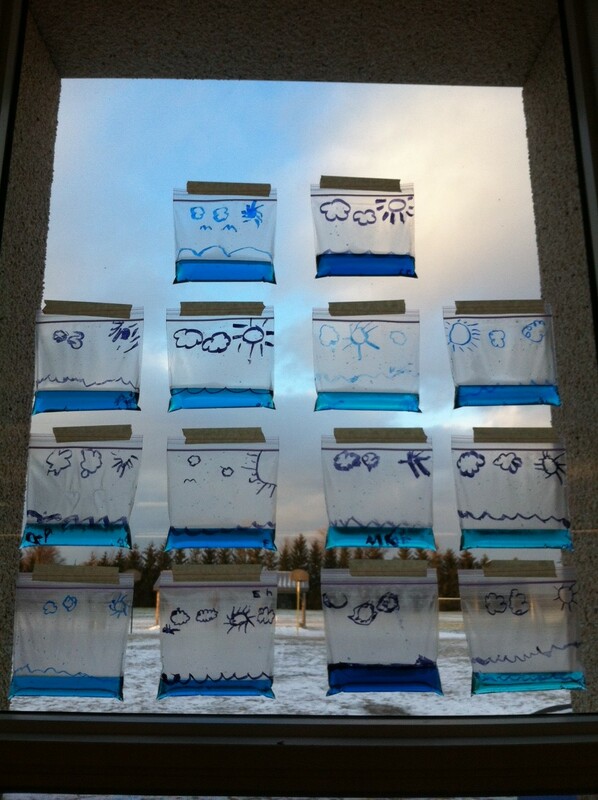 Yesterday we each made a water cycle in a bag and we hung them up in our classroom window. This is what they look like. Today we observed the water cycle in action and recorded what we saw. We also labelled our diagrams to show evaporation, condensation, and precipitation.